SWCC planned Shuqaiq 2 WTS project to meet the water demand of public and industrial users between Shauqaiq to Abha city. 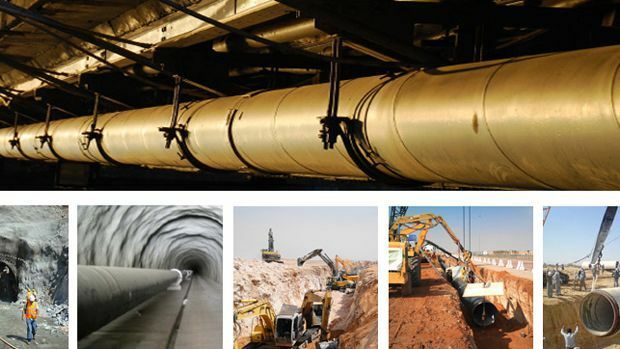 This involved 8 pump stations, 50 reservoirs and 912 KM long pipe line to transport 503,500 M3/day water from Shuqaiq to Abha Shuqaiq to AL Birk, Shuqaiq to Samta, Abha to Sapt, Abha to Dhahran AL janoub and a branch line to Rijal AL Ma. The Project was located in a very high hilly terrain between Shuqaiq & Abha of Kingdom of Saudi Arabia. Aziz- Mappa consortium performed the construction and commissioning of pumping stations, main pipelines, line valves, steel water storage tanks, complete SCADA & telecommunication etc. A.Abunayyan Trading Corporation, participated in this challenging project by supply of all 3191 Line and Pump Station valves from Magwen GmbH Germany. The valves supplied are Class 150- Class 900 ,Top / Split body Ball valves, Tri Eccentric butterfly valves, Gate valves, Swing & Non Slam Nozzle Check valves and Control Valves with Electro Hydraulic Actuators.